Head over to Amazon to pick up a few pair of these Reflective No Tie Shoelaces Just $6.97 each! (Reg. $13) Shipping is FREE on orders of $35+ or if you are a Prime member! 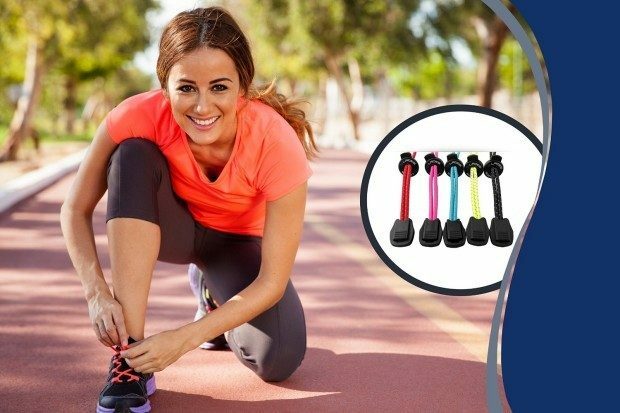 IT’S THE PERFECT FITNESS ELASTIC SHOE LACE FOR ALL ATHLETES – Great for Running Triathlons or Marathons. Quick, Fast & Convenient. Excellent For All Sports, Football, Soccer, Tennis, Volleyball, Biking, Hiking, & More. Ideal for Runners, Men and Women. Fits All Athletic Shoes, Sneakers. Fits All Popular Shoe Brands, Nike, New Balance, Converse, Vans, Jordan Etc. ARTHRITIS, DEXTERITY CHALLENGED? …NO PROBLEM! Special Needs & Seniors. Qi Laces Are The Quick And Easy Solution. HOLDS TIGHT FOR A FIRM FIT And Provides A Very Secure Grip Across The Top Of The Foot. They’re Snug, But Not Constricting. Users Never Experience Numb Toes Or Pinching Anywhere. BEST LACE SYSTEM & GREAT LOOK – You Never Have To Hassle With Tying Your Shoes Again. It’s East to Use, Just Slip on Your Shoe or Sneaker, Squeeze the Lock and Pull to Tighten. Each Lace Is 48 Inches In Length And Is Easily Cut To Desired Length.